We all want to feel that we have the power to direct our own life, choose our own path and consciously manifest our own happiness. My mission is to show you how. At heart I am a wanderer, an adventurer, and a seeker of beauty. I have been fortunate enough to have lived, worked, and travelled in 50+ countries on every continent, and am always on the lookout for the next adventure. I live in the UK, but Japan is my second home (and the inspiration for my new book). I believe that ‘waiting for the weekend’ is no way to live your life — or design your career. And I’m living proof that there’s another option — one where the way that you feel about your work is just as important as the salary you take home. My mission is to inspire you to find a way to do what you love, celebrate your messy, perfectly imperfect life and find happiness right where you are. Earlier in my career I worked with UN agencies, global brands, and NGOs all over the world, advising on corporate social responsibility, instigating projects that have raised over $10 million for charity, and earning a Master’s degree in Japanese. These days, together with my husband Mr K, I run three different businesses – Do What You Love (Founder), Make Art That Sells (Co-Founder) and Make It In Design (Co-Founder), all of which offer tools, resources and online courses for living an inspired life. My first book ‘Freedom Seeker: Live more. Worry less. Do what you love.’ (Hay House) was published in 2017 and has over 200 five star reviews across Amazon UK and US (thank you!). My second book ‘Wabi Sabi: Japanese wisdom for a perfectly imperfect life’ was published in 2018 and has been translated into 21 languages. It is a TIME Magazine recommended read and was described as ‘a truly transformational read’ by Sunday Times Style. In it I share life lessons inspired by ancient Japanese wisdom, gathered throughout my twenty-year love affair with Japan. I was honoured to be named Kindred Spirit Magazine 2017 Mind Body Spirit Blogger of the Year (runner up), recognised as a Rising Star by Spirit & Destiny Magazine, and proud that our Do What You Love blog was recently named one of the Best Happiness Blogs on the Planet. And I am the mother of two small sweet girls, who make me laugh every single day. You can get a peek into my perfectly imperfect life on Instagram @bethkempton. My first book Freedom Seeker, is a book about living more, worrying less and doing what you love. Full of personal stories and a host of original, transformational tools, the book shows how to make the most of this extraordinary time, where technology offers new ways to live, work, learn and connect with each other. It’s a very current manual for living more and worrying less, which shows you how to choose the life you want, be happy and feel free. You can get your copy here. 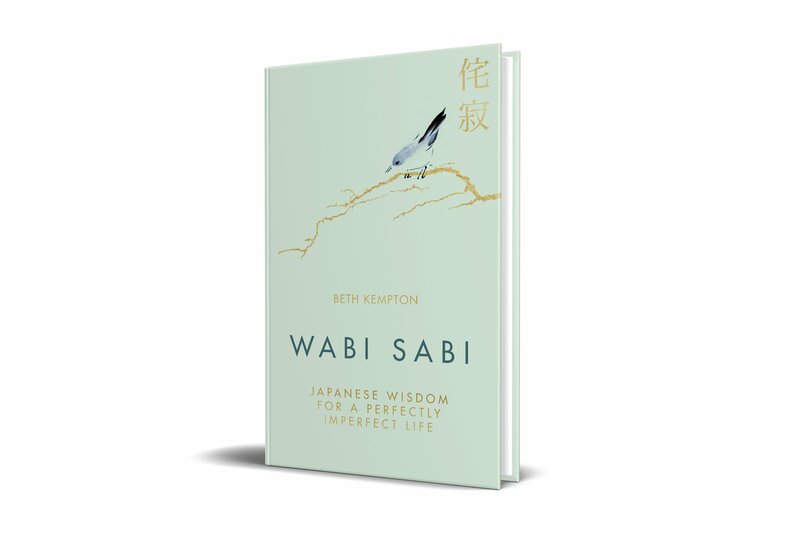 My second book ‘Wabi Sabi: Japanese wisdom for a perfectly imperfect life’ was published in 2018. It is a TIME Magazine recommended read and was described as ‘a truly transformational read’ by Sunday Times Style. I am honoured that is has captured the imagination of publishers all over the world, and has been translated into 21 languages. In it I share life lessons inspired by ancient Japanese wisdom, gathered throughout my twenty-year love affair with Japan. Wabi Sabi is a captivating concept from Japanese aesthetics, which helps us to see beauty in imperfection, appreciate simplicity and accept the transient nature of all things. With roots in Zen and the Way of Tea, the timeless wisdom of wabi sabi is more relevant than ever for modern life, as we search for new ways to approach life’s challenges and seek meaning beyond materialism. I have also written for and been featured in a number of magazines, newspapers and several blogs, including TIME Magazine, Good Housekeeping, The Huffington Post, Marie Claire Magazine, Natural Health, Flow, Psychologies, Fit & Well, Breathe, Prima, Reader’s Digest, Wanderlust, MindBodyGreen, Stylist, Kindred Spirit, Sidetracked, Chrongram, UN Chronicle, Where Women Create, Where Women Create Business, Blossom Magazine, The Asahi Shinbun, MOYO Magazine and Mingle. My online courses have been featured in Flow, Uppercase and The Simple Things. I was Kindred Spirit Magazine 2017 Mind Body Spirit Blogger of the Year (runner up), named a Rising Star by Spirit & Destiny, and my Do What You Love blog was recently named one of the Best Happiness Blogs on the Planet. I love speaking to people about the things I care deeply about including personal freedom, courage, adventure, doing what you love, rule-breaking, alternative careers advice, and building soulful businesses. I am as happy doing this by shining a light from a big stage in front of hundreds, as I am facilitating intimate workshops for a handful of people, and have been described as a “genius storyteller” (*blush*). Check out my upcoming events here and testimonials from previous events here. You can see me in action here and listen to my podcast here. Please get in touch if you’d like me to speak at your event or deliver a life-changing workshop for you. Your audience will be inspired into meaningful action and leave with clarity and confidence! I also teach a number of online courses designed to help people find personal, professional and financial freedom. At heart I am a wanderer, an adventurer, and a seeker of beauty. My life story is a catalogue of wild and crazy experiences that I wouldn’t believe if I hadn’t been there myself—such as hosting my own TV show (in Japan! ), travelling on a private jet with the world’s most famous football team, or surviving falling off a cliff on a quad bike. But these things didn’t come about because of any kind of special privilege or personal wealth. They happened because I followed my intuition, made bold choices, and sought out freedom every step of the way. And sometimes I just got lucky! As a result, I have been fortunate enough to have lived, worked, and travelled in 50+ countries on every continent, and am always on the lookout for the next adventure. I live in the UK, but Japan is my second home (and the inspiration for my new book). I believe that ‘waiting for the weekend’ is no way to live your life — or design your career. And I’m living proof that there’s another option — one where the way that you feel about your work is just as important as the salary you take home. In amongst all of that, I have worked with UN agencies, global brands, and NGOs all over the world, advising on corporate social responsibility, instigating projects that have raised over $10 million for charity, and earning a Master’s degree in Japanese. Freedom Seeker is also the title of my first book, published by Hay House. You can get your copy here. I am the mother of two sweet girls. They are very little and fill my heart with love. Becoming a mother has been both the most challenging and most wonderful thing I have ever done. I wrote a lot about this in my book Freedom Seeker, because I knew I had to find a way to be me, as well as be mother to them, in order to be the best mother I could be. This is definitely a work-in-progress! I also champion other mothers (and fathers) going back to work on their own terms, finding ways to use their talents flexibly, and designing lives that work for them and their families. More than eight years ago I founded Do What You Love, to help women find what lights them up, and then prioritise that in their life. We have helped thousands of people shape a career they love, quit jobs, start businesses, move countries, even propose marriage. Our superpower is asking questions that help people see their life in a completely new way, and realise just how powerful they are. 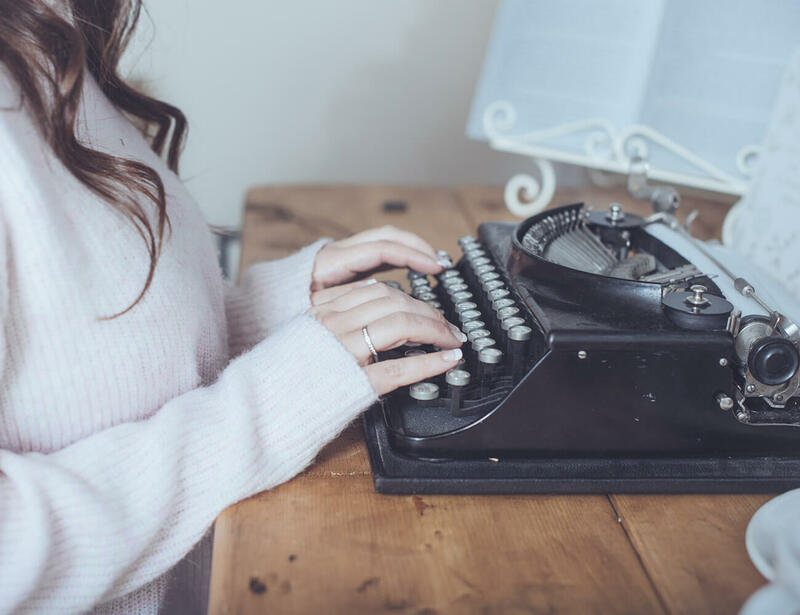 Do What You Love produces and delivers transformational online courses, and provides an online hub for inspiring stories of people doing what they love. I am also co-founder of MakeArtThatSells.com and MakeItInDesign.com, both of which have helped artists and designers all over the world launch and grow professional creative careers through innovative online courses and a host of free resources. I am also co-founder of online design magazine MOYO, which has had over 3.5 million views on Issuu.com. Not long ago, I was selected by Marie Claire magazine as one of the UK’s 16 most exciting young female entrepreneurs, and was a finalist for the Digital Entrepreneur of the Year Awards in the Education Entrepreneur category in recognition of the company’s outstanding online courses. I have a slight obsession with washi tape and beautiful paper, and harbour a secret dream to launch my own stationery line (collaboration enquiries from stationery companies are welcome!). I often work from cafes, and can usually be found with a cup of milky tea in one hand and some chocolate in the other. The truth is, I couldn’t do half of what I do without the support of my husband, Mr K. He is my partner in life and business, an amazing father to our girls, and a wonderful support to our team at Do What You Love. It is through being married to Mr K that I have come to understand how it is possible to feel free within the context of a life partnership – something I previously thought was impossible. Working with your spouse brings its own challenges, but also some amazing rewards. Rather than just doing a job, it enables us to build something together, and that is priceless. Juggling family and business is always a work-in-progress, but something we are slowly getting better at every day! Trying to make big decisions, bold moves and major changes in your life can be really hard, especially when those closest to you don’t get it. Often it’s our loved ones who hold us back and tread on our dreams. And when people we love and respect tell us things aren’t possible, we tend to listen to them. But what if you listened to other people, who tell you it is possible, and have your back as you go after what you really want? One of my greatest passions is supporting people to follow their dreams and connecting them with others who will champion them along the way. Because being surrounded by people who get it, and get you, changes everything. That’s why my community is so important to me, and I hope you will get involved. I want you to know that you are not alone. I am here for you. More than anything, I want to help you figure out what you love, commit to it, and make it your life. And help you remember that you are perfectly imperfect, just as you are. Fly free, my friend. Fly free. Click here for PR & speaking enquiries.